We stopped at Matese , in Bonnevoie, as my fridge at home was almost crying.. Matese, in fact, is the restaurant we are always going when I don’t want to cook. It is really close to our house, we don’t need to dress up – actually we went also there in gym wear -, it has a lot (and when I say a lot, it means five pages menu) of choices and the food is pretty nice. – The manager and the staff are lovely. It seems to me you are going to eat to your aunt’s house. – They always have a table for you, even at 11 o’clock on Saturday evening. 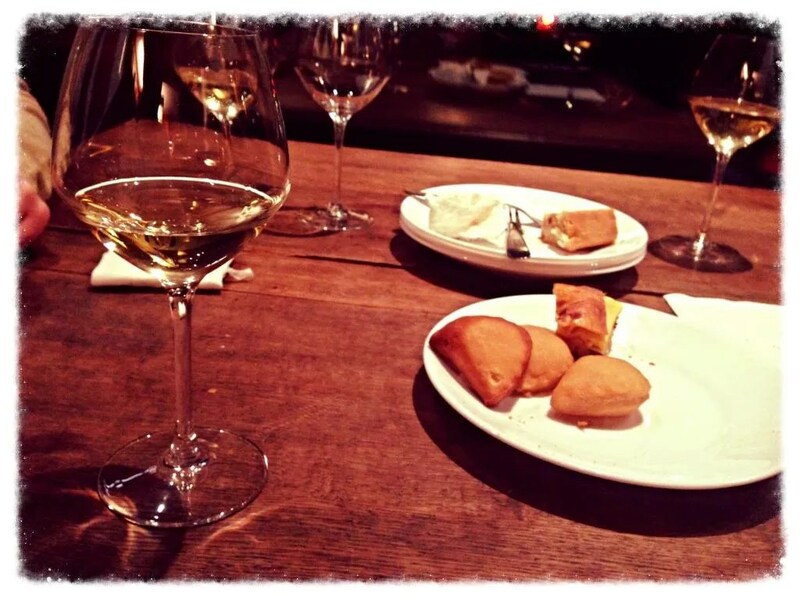 – As said, they have several dishes on the list – pasta, pizza (try the “Riardo“), salad, meat or fish main courses and most all of them are delicious. So it is the kind of place where to go if one of you wants a big meal and the other one is on diet, or if when going out you don’t have yet clear what to eat. 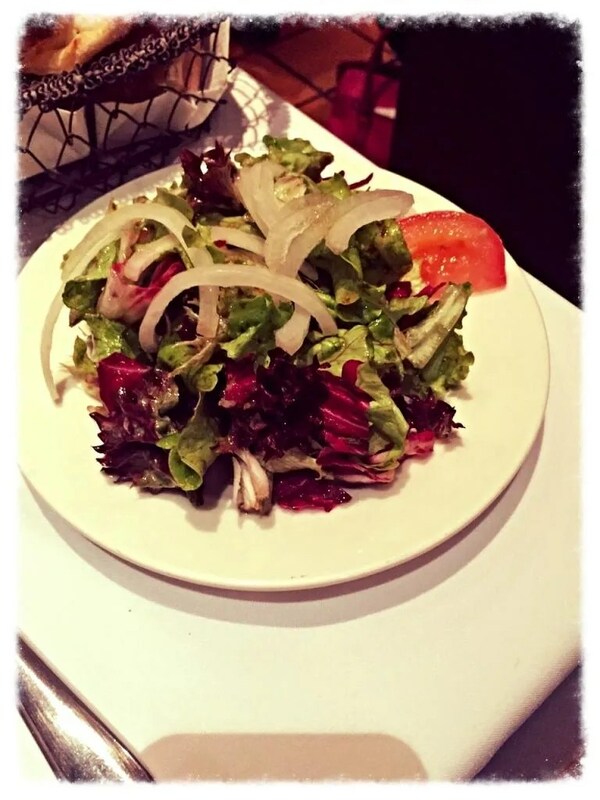 – Fried calamari is one of my favorite, but as we wanted to stay light after the aperitif, we opted for my second fav, the traditional Carpaccio. The portion is huge, the meat is soft as butter and it is served with salad and super piadina. 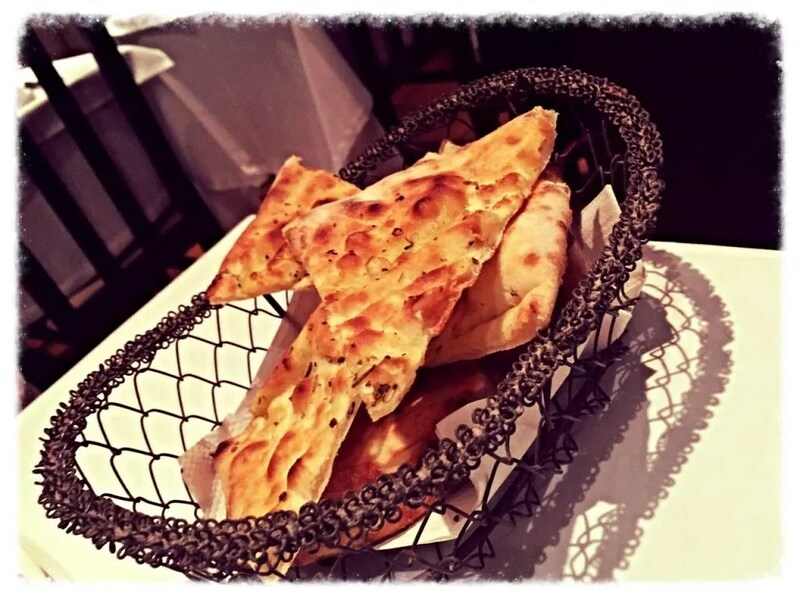 I could eat all of it – well, actually I did…. Depending on what you eat and drink, it can be really cheap or a bit pricey. 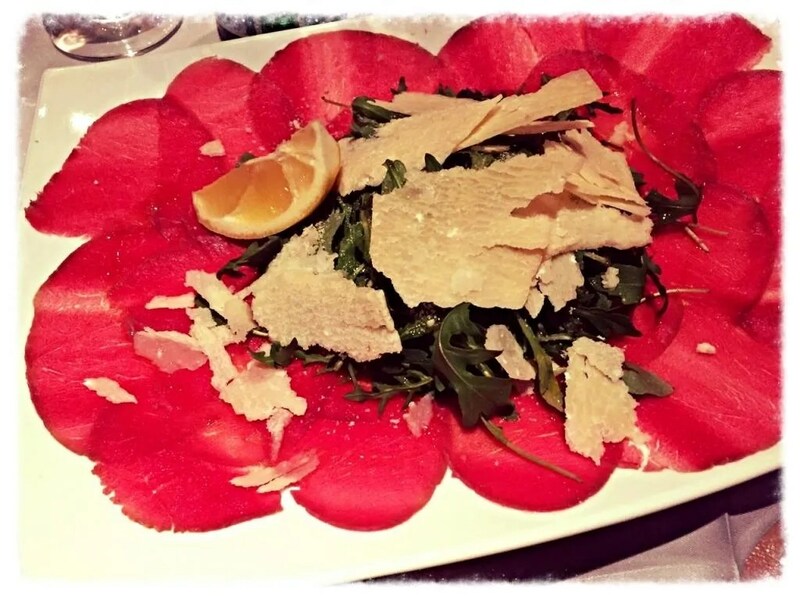 We managed to stay on 22 euro each for the big carpaccio plus 2 half-liter bottles of water. Definitely worth a try if you want a familiar environment and good Italian food. 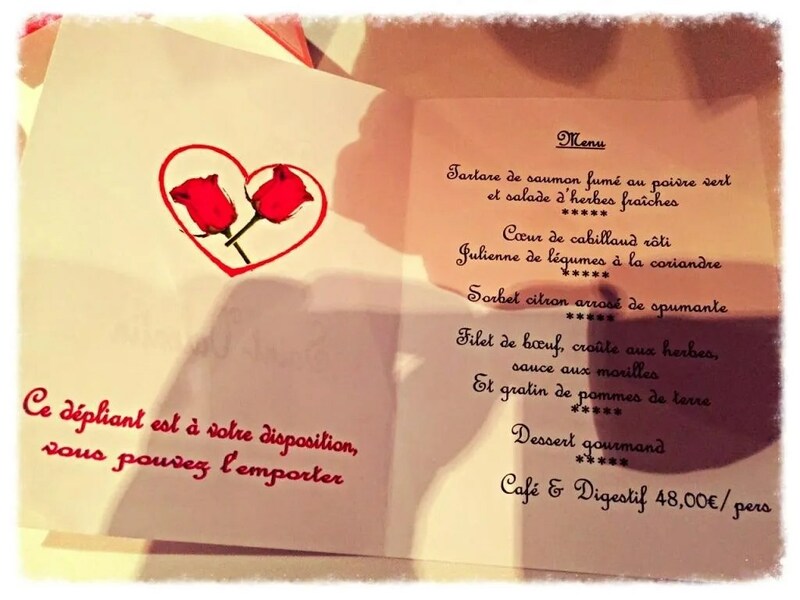 They have also a nice relatively cheap menu for Valentine’s day. 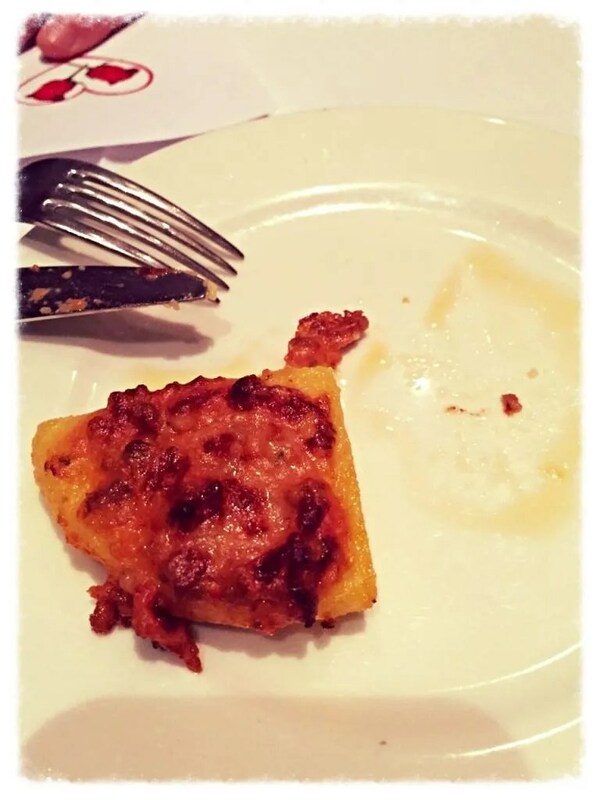 Ah, they also brought us some yummy polenta as welcome, but my hubby could not wait I took the picture to have its own. 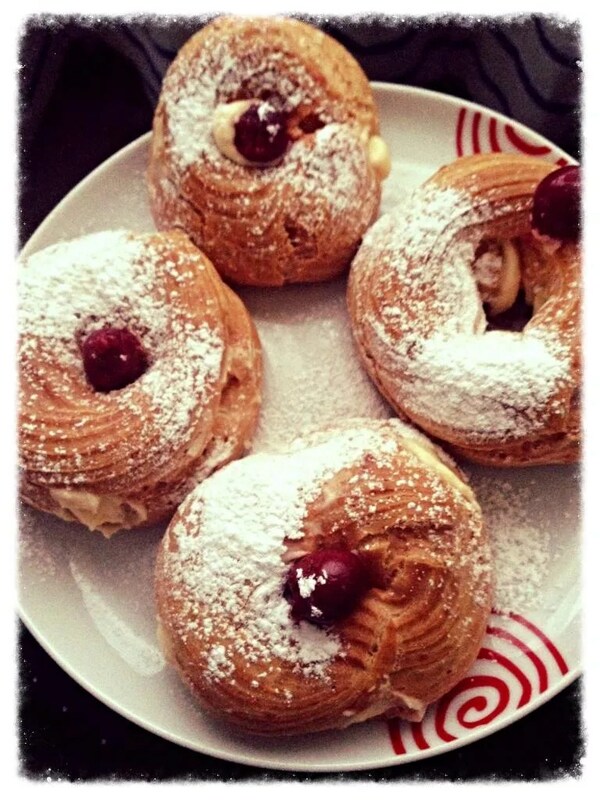 I LOVE zeppole! A perfect carnival treat. I have never tried this restaurant but great to know that they still serve at 11 pm! Unfortunately there aren’t that many accommodating places in Lux… other than kebab shops or Saumur.